Educational word search with patriotic theme for home or classroom use. Fun printable 4th of July word search puzzle to keep the kids busy. Lots of Patriotic words to find. Great educational printable. 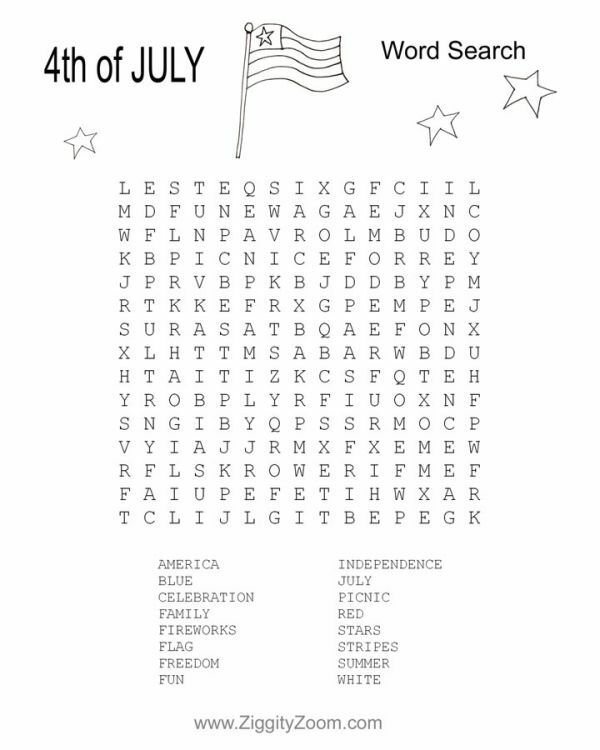 Celebrate America’s birthday over the Summer with this word search with words such as America, Independence, Stars and Stripes and more. Directions: Click Word Search Image or click here to print the pdf. Preview the pdf before printing, and only print the worksheet (you do not need to print the directions or url page). Let us know what other word search or fun and educational worksheets you would like to see us post.